Bunkhouse at Harry Carey Ranch. Date and source of image unknown. 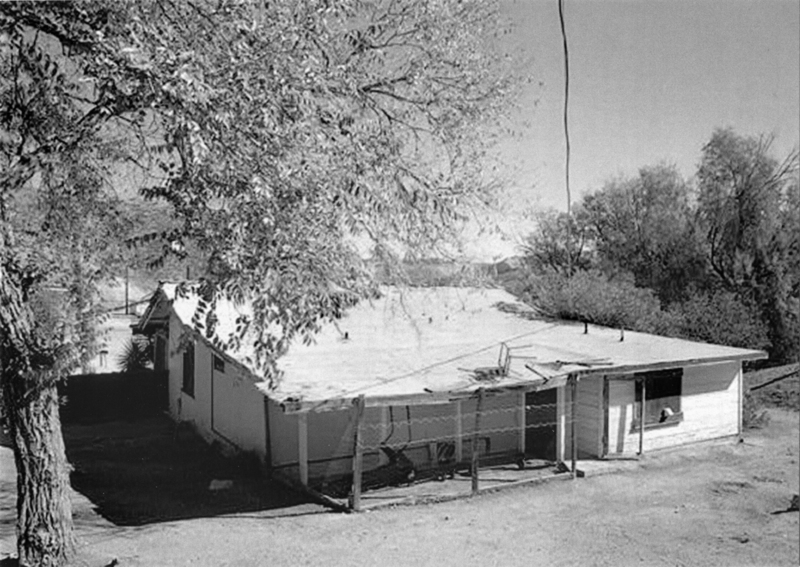 Property records indicate the bunkhouse, located on the Harry Carey Ranch at the mouth of San Francisquito Canyon in Saugus, may have been built in 1920 at the direction of Harry and Olive Carey. It was substantially modified by the Clougherty family in or after the 1940s. The bunkhouse sits at the pedestrian entrance to today's Tesoro Adobe Historic Park. Click here to read the archaeologist's report on the bunkhouse. lw2278: 9600 dpi jpeg from modern copy print purchased 2012 by Leon Worden.